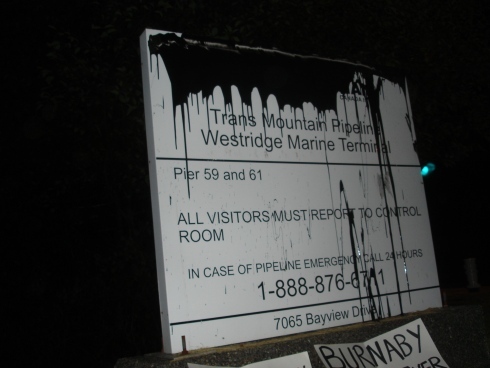 I received an anonymous email about some sign vandalism at Kinder Morgan’s Westridge Marine Terminal in north Burnaby, where tankers fill up with crude. The July 24, 2007 reference related to the oil pipeline rupture on Burnaby’s Inlet Drive years ago. Oil spill from Nexen Energy pipeline in northern Alberta tar sands, July 16, 2015. 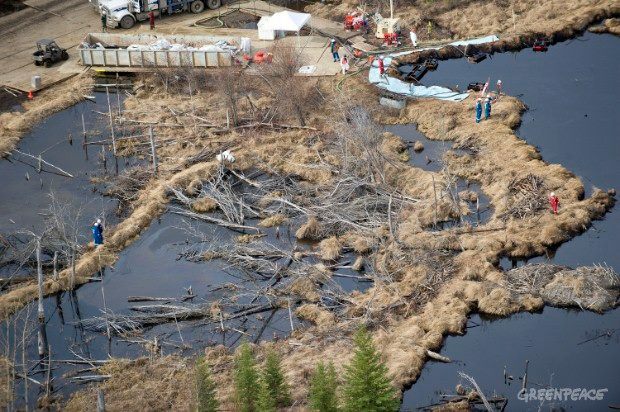 In the wake of a massive pipeline leak in northern Alberta, a First Nations group in the area is worried more spills will happen unless environmental standards are tightened. Nexen Energy’s Long Lake facility at Alberta’s tar sands. 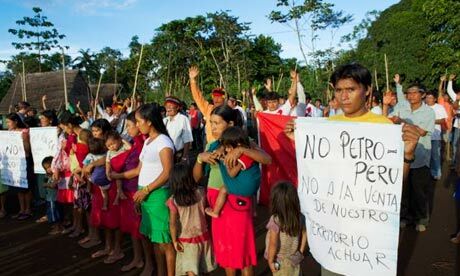 Photo: CBC News. 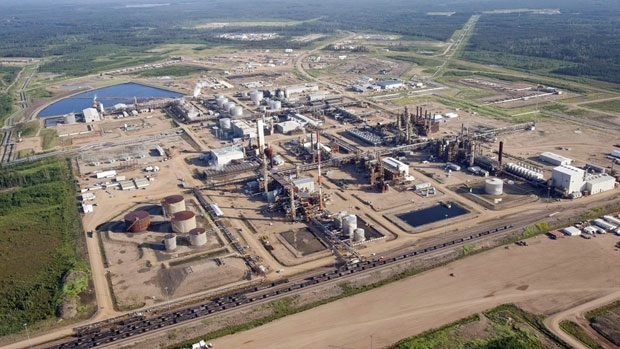 One of the largest leaks in Alberta history has spilled about five million litres of emulsion from a Nexen Energy pipeline at the company’s Long Lake oilsands facility south of Fort McMurray. The leak was discovered Wednesday afternoon. Nexen said in a statement its emergency response plan has been activated and personnel were onsite. The leak has been stabilized, the company said. Oil leaks from a freighter in English Bay, Vancouver, BC, April 9, 2015. A one-kilometre-long oil slick believed to have leaked from a bulk carrier ship is fouling the waters and beaches of Vancouver’s scenic English Bay. 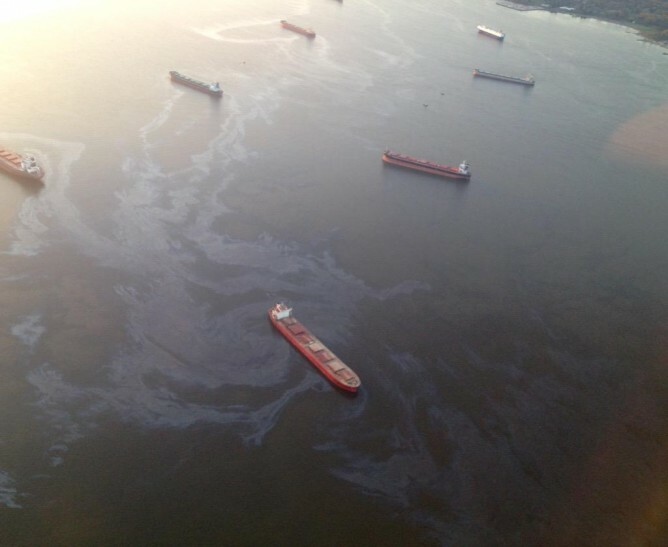 It is still not clear what type of type of oil has spilled into the bay, which is surrounded by the city’s downtown, the world renowned Stanley Park and numerous popular beaches. 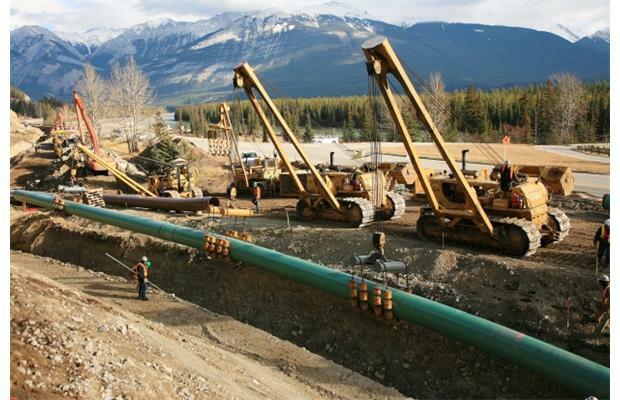 CALGARY – The National Energy Board says it’s responding to a spill from Kinder Morgan’s Trans Mountain line near Merritt. HARTLEY BAY, BRITISH COLUMBIA – The Gitga’at Nation of Hartley Bay is reporting an oil spill, between two and five miles long and 200 feet wide inside the Grenville Channel, not far from the proposed tanker route for the Enbridge Gateway pipeline. The spill was spotted by a commercial pilot and reported to the Gitga’at Nation and the Canadian Coast Guard yesterday evening.